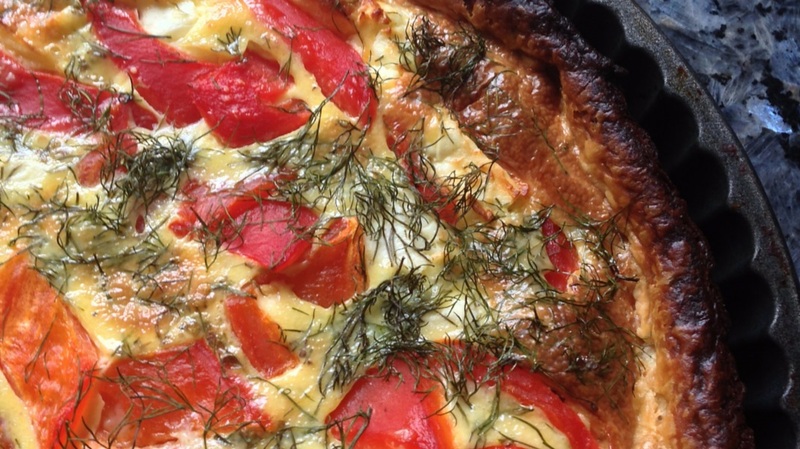 Tart or quiche? I’m not sure I know the difference, but either way I do know that I make a lot of them in the summer as they’re great at room temperature with a big fat salad for tea. 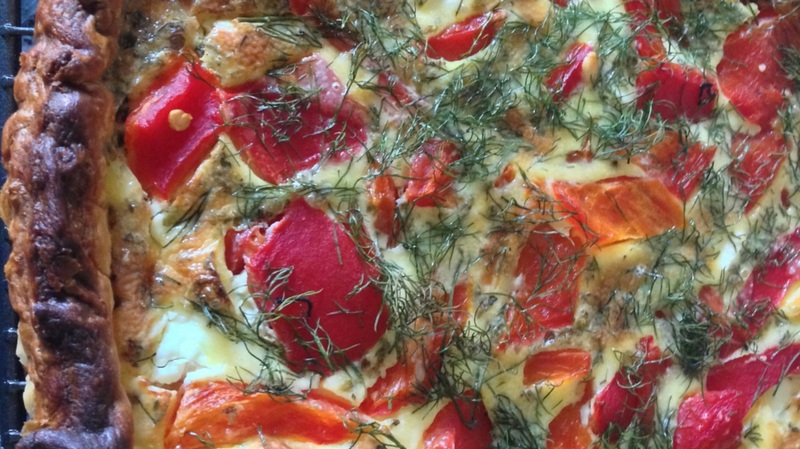 This tart is full of the flavours of Greece with feta, roast peppers and dill. I’m using Cretian thyme which is pretty pungent compared to the stuff we grow over here so use sparingly or it overwhelms everything. The roasted peppers are out of a jar but if you have the BBQ on this summer you could roast some pretty easily yourself. I find the ones from Lidl massive so need one, but the ones from Sainsburys needs two. Just pat them down before putting them in or you’ll end up with the dreaded soggy bottom! 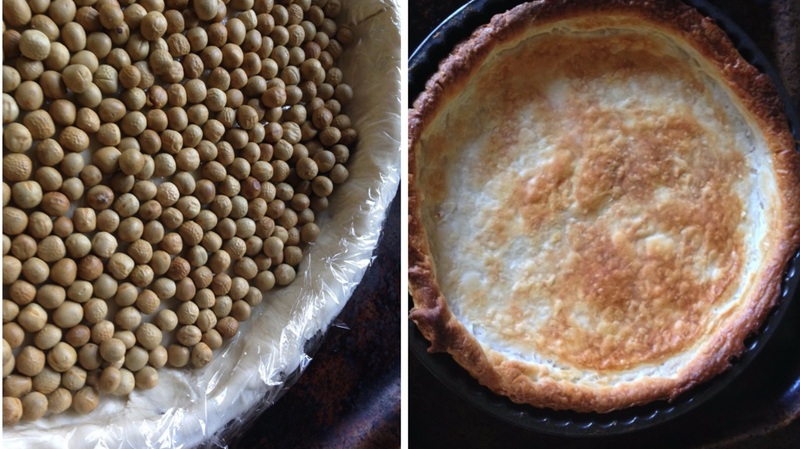 Also half a packet of ready made puff pastry is enough for me, but if you like a thick crust then go ahead and use it all- but use a bigger tart tin or there will be no room for filling. 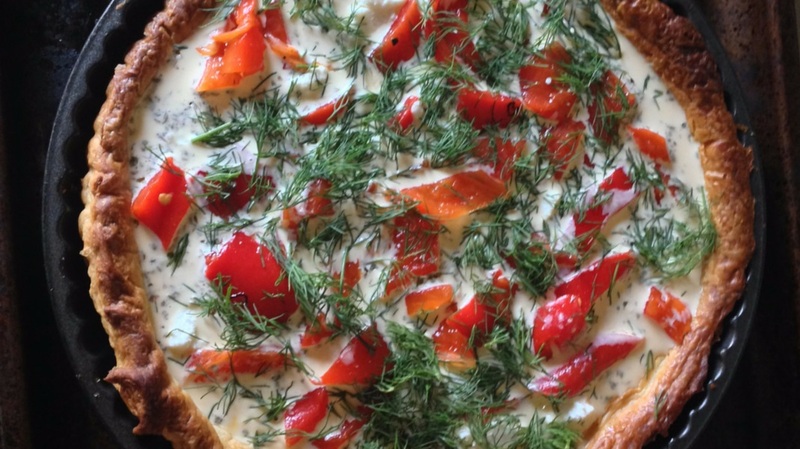 Carefully back into the oven for 20-25 mins until the centre is baked and golden on topEnjoy a large slice with a Greek salad and maybe some tzatziki to use up the rest of the dill. Perfect summer flavours. I love those jarred peppers too – I only recently started buying them but I now add them to everything! Looks so gorgeous and delicious!